Индришето е растение, което може да се отглежда в саксия или да се види в много цветни градинки. Вечнозеленият студоустойчив полухраст има приятен, силен и специфичен аромат. Използват се листата на индришето. За какво се употребява индришето? Най-често индришето се използва за ароматизиране на сладка, мармалади, конфитюри и компоти с лист индрише. Подходящо е особено за сливи и дюли. За един буркан е достатъчно само един лист от растението. Преди време жените са добавяли индрише при прането. А мъжете правят ракията по-ароматна като сложат в казана за варене стрък от уханното растение. Същият ефект се получава при запарване на бъчвите за вино и ракия с китка индрише. По магазините може да се открие локум с аромат на индрише. Благоуханията от етеричните масла на индришето гонят насекомите, мухите, комарите. Саксия със ароматното цвете в стаята почиства и овлажнява въздуха. Индришето служи като естествен ароматизатор и погубва бактериите. От индришето или неговия синоним розалин се извлича на водна баня етерично масло. Бледо зеленикавата течност е позната под търговското наименование „тереше“. 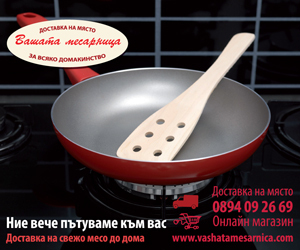 Етеричното масло на индришето има подобен аромат на казанлъшката роза и се използва недобросъвестно за розово масло. Ползи от индришето като билка. 1.При рани и кожни заболявания – лапи или сок от индрише. 2.Разширява кръвоносните съдове, има антисептично действие. 128 коментара на "Индрише – подправка за ароматизиране на сладка и мармалади"
I just want to mention I am just all new to blogs and truly savored your blog site. Likely I’m want to bookmark your website . You really come with impressive article content. Thank you for revealing your blog site. Attractive part of content. I simply stumbled upon your blog and in accession capital to assert that I acquire actually loved account your weblog posts. Any way I’ll be subscribing to your feeds and even I success you get admission to consistently fast. whoah this blog is excellent i really like reading your articles. Stay up the good paintings! You recognize, a lot of persons are searching around for this info, you can aid them greatly. 9/27/2016 merudia.bg does it yet again! Quite a perceptive site and a well-written post. Thanks! I more or less share your take on this topic and look forward to upcoming posts and comments here at merudia.bg. Thanks! 9/29/2016 I’m pleased by the manner in which merudia.bg handles this type of subject! Usually to the point, often controversial, without fail thoughtful and also challenging. 9/30/2016 merudia.bg does it again! Quite a informative site and a good post. Keep up the good work! 10/2/2016 I’m gratified by the manner in which merudia.bg covers this kind of topic! Generally to the point, sometimes polemic, without fail well-researched and also thought-provoking. 10/2/2016 I’m pleased with the way that merudia.bg handles this type of subject! Usually on point, often polemic, consistently thoughtful and more often than not quite thought-provoking. 10/5/2016 @ 21:35:07 Appreciate merudia.bg– extremely informative and much to see! In my estimation, merudia.bg does a good job of covering topics of this sort. While frequently deliberately polemic, the material posted is in the main thoughtful and thought-provoking. In my estimation, merudia.bg does a excellent job of dealing with topics of this type. While ofttimes intentionally polemic, the posts are in the main well-written and stimulating. Hi would you mind sharing which blog platform you’re working with? I’m going to start my own blog in the near future but I’m having a difficult time making a decision to go with Drupal. Solid, well-researched content. I just sent this on 10/17/2016 to a coworker who’s been involved in a little research of her own on the topic. To show his appreciation, they just bought me dinner! So, I should probably say: Cheers for the drink! I was extremely pleased to find this web site. I wanted to thanks for your time for this fantastic read!! I certainly enjoying every single small bit of it and I have you bookmarked to take a look at new stuff you weblog post. Congrats for the noteworthy blog you’ve set up at merudia.bg. Your enthusiasm is absolutely contagious. Thanks again! 10/22/2016 I’m pleased by the manner in which merudia.bg deals with this kind of subject. Generally to the point, sometimes contentious, without fail thoughtful and also stimulating. Many thanks for the great website you’ve created at merudia.bg. Your enthusiastic take on the subject is certainly contagious. Thanks again! 10/31/2016 @ 16:24:27 In my opinion, merudia.bg does a good job of handling subject matter of this sort. While frequently intentionally controversial, the posts are generally well researched and thought-provoking. I just want to say I’m new to blogging and site-building and definitely liked you’re web-site. Almost certainly I’m likely to bookmark your blog post . You amazingly have very good stories. Cheers for revealing your web page. Congrats for the inspiring blog you’ve created at merudia.bg. Your enthusiasm is certainly inspiring. Thanks again! Thanks for any other fantastic post. Where else may anyone get that kind of info in such a perfect method of writing? I have a presentation next week, and I am at the look for such information.